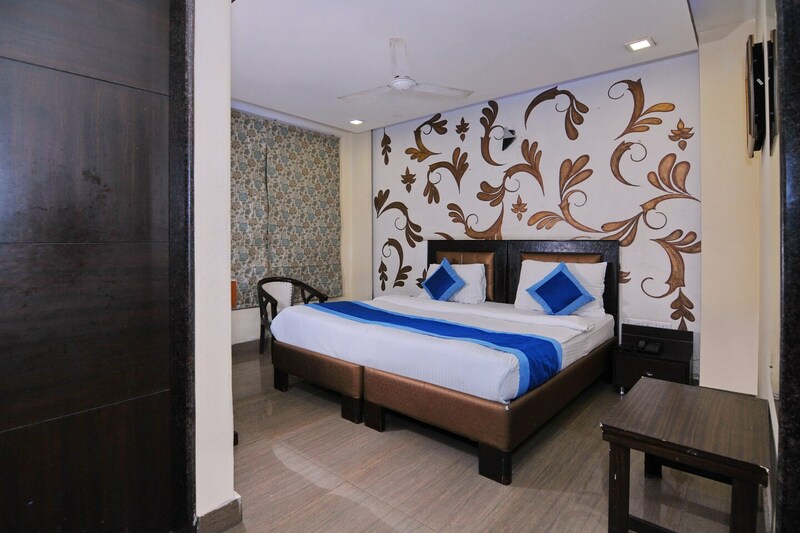 Hotel Gera's is a contemporary property with tastefully decorated rooms, in Kalkaji Branch, Delhi. It is close to Kalkaji G Block Bus Stop and Govind Puri Metro Station. Tourist spots close to the hotel are the Lotus Temple, ISKCON, National Zoological Park, Dandi March statue, and Lodhi Fort. The hotel has a spacious banquet hall, conference room and an elevator on the premises. The rooms are cosily furnished and feature stylish wallpapers. The bathrooms are neat and have trendy tiles. Each room is equipped with TV, AC, free Wi-Fi, and the bathrooms have geysers. Parking, power backup and card payment facility are provided. Eateries that are close to the hotel include New Shere Punjab Dhaba, Wendy's Kalkaji, Kake Da, Biryani Blues, Crispy Tokri, and Horn Please, among many other restaurants.